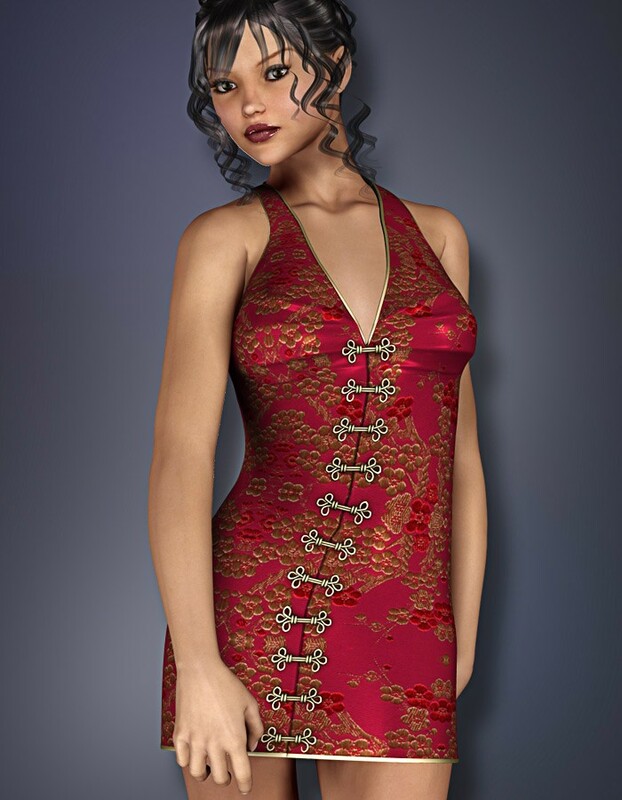 The Lin Dress is an Asian-inspired dress for Vicky 4. This slinky party dress has decorative clasps down the front, and two different textures. It also has all applicable CrossDresser adjustment morphs for easy posing.